White rasgulla, gulab jamun, barfi, chocopie, pudding, ice cream, candies name any sweet or any dessert my taste buds will definitely like it. I am born with sweet teeth (I don’t call it tooth as I love sweets to that extent that I can have dessert as whole meal). Yes I am that crazy about sweets and desserts. I always try new type of desserts wherever I go. I read a lot about them. Recently I came across an article where they stated some fruits which taste like dessert. I was so happy to read that article. I loved two fruits from the list so thought why I don’t share with my readers who might be sweet lovers. I hope you will like it. 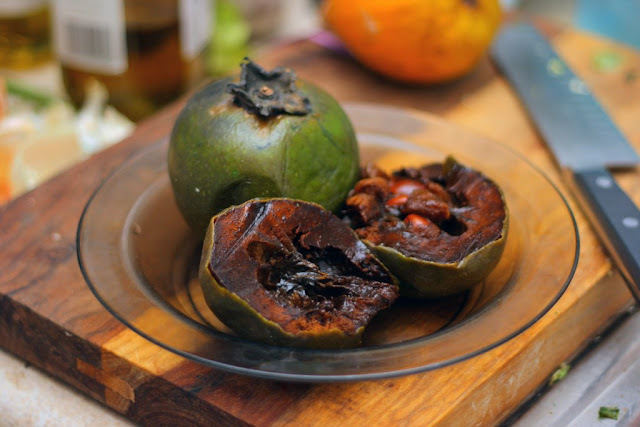 Black Sapote – These look like green tomatoes but these have inedible skin. In fact their size is also like tomatoes. Fruit skin color changes from olive to yellow-greenish when ripe. This amazing fruit grows in Mexico, Caribbean, Central America and Colombia. Black Sapote tastes like chocolate pudding. Not just taste but also consistency is like of chocolate pudding. I so want to eat this fruit. I don’t know when I will get chance to try this fruit. Please can anyone suggest me where can I find this in India? Capuacu – Fruit pulp of Capuacu has an odour that of chocolate and pineapple. This fruit is often used in desserts, juices and sweets. This fruit has strong shell like that of coconut. 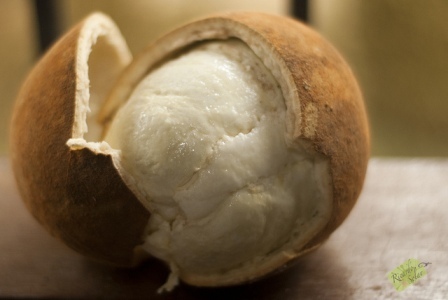 Actually it resembles coconut as its pulp is also white. If we open green coconut we can see white pulp. This is one unique fruit which has caffeine in it. This is found in tropical rainforests which is common in Amazon basin. It’s grown in forests of Bolivia, Peru, Colombia and north of Brazil. My mouth is watering when I am writing about them. I don’t know what will happen to me if I get to eat these. What you think of these fruits guys? Exotic! I haven't tasted any of these varieties, but on my recent trip to Florida I saw one new hybrid. It was super tempting and beautiful. Interesting!! if you get the chance to grab them plz send me some too!! They looks delicious n who can say no to anything which connects with chocolate! !